For bridal parties, intimate ceremonies, cocktail receptions or honeymoons, the secluded Villa du Jardin is a peaceful location for any small celebration. Enjoy the open spaces of the dining room, living room and two spacious bedrooms. 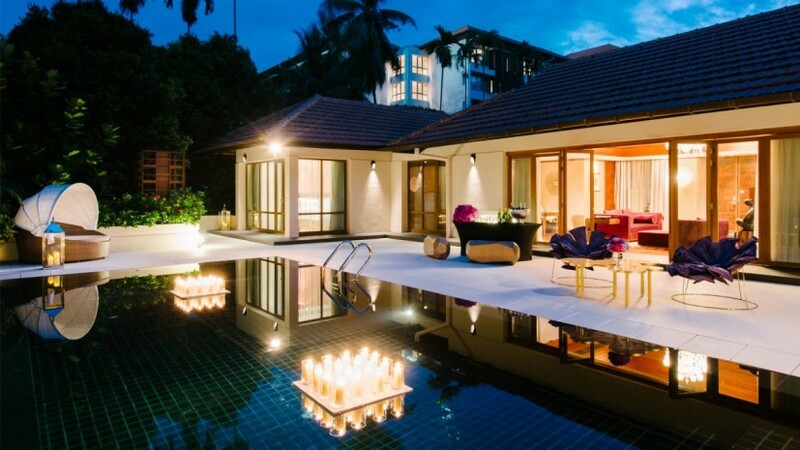 The indoors flow effortlessly onto the wide deck where an immaculate pool, artfully lit with candles and lanterns, reflects the night sky. Each of our four Villas du Jardin can accommodate about 30 guests for events.